And come to that the dangers of commenting on press articles on line. Recently I posted something using Disqus: it was in response to an article in a Squamish newspaper about the proposed LNG plant. Oddly, nothing in the article, or in the response to that time spoke to the source of the gas. That will come from an expansion of fracking – the practice of releasing hydrocarbons from “tight formations” which has been expanded very rapidly in North America in recent years. The process creates fractures in the oil and gas bearing rocks by injecting water and mix of chemicals under high pressure. 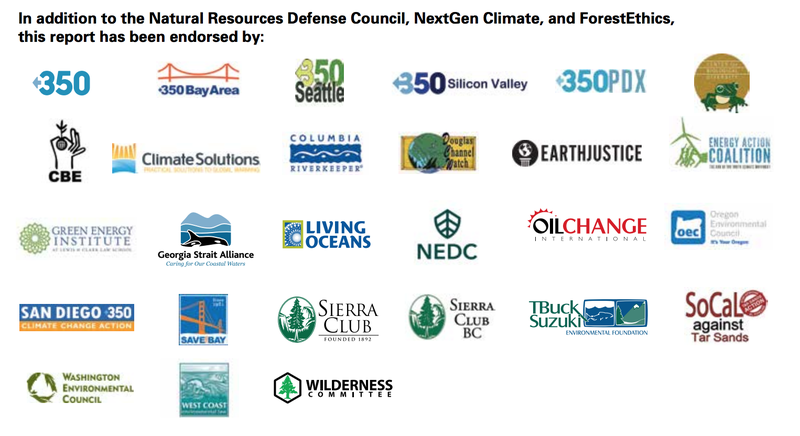 To be clear, I oppose any expansion of fossil fuel use. There is only one way that we are going to be able to slow down our current headlong rush to global catastrophe and that is to Leave It In The Ground. Most of the reserves of oil, gas and coil must not be extracted and burned. Fortunately, the alternative renewable resources are both economically and environmentally attractive – and are getting cheaper. There is much more employment potential in renewables too, so the previously perceived “choice” between the environment or the economy is now a false dichotomy. 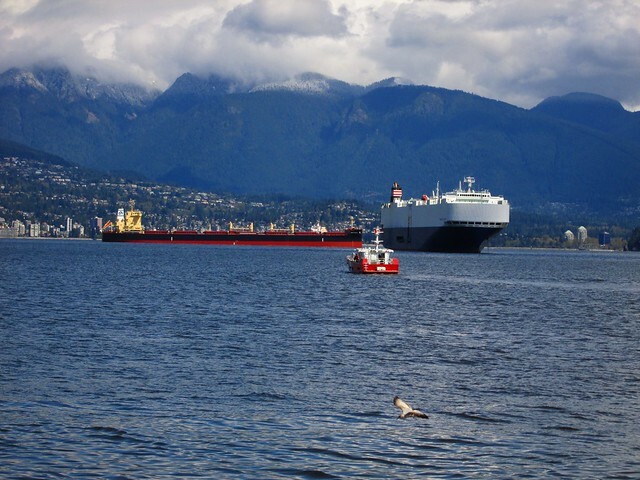 Expansion of LNG export terminals in BC seems increasingly unlikely based on any realistic analysis of the finances but Christy Clark has yet to concede this, and is perfectly capable of continuing to increase the public subsidy of this folly. We are actually paying foreign corporations to exploit this resource, which would otherwise be unmarketable. So if the GHG use of fossil fuels is not persuasive enough, the record of fracking needs to be examined. There are two points I made – the first is that methane is released by fracking in a manner which makes it difficult to capture – or even measure. Since methane is a far more powerful greenhouse gas than CO2 that is cause for caution in itself. But there is also the effect of putting injecting water into the ground. Poisoning wells is the least of it (though the youtube videos of setting kitchen faucets alight seem entertaining). We live in a seismically unstable region. There will be a huge earthquake out underneath the ocean, probably south of Haida Gwai. (I wrote that last sentence on April 23 at 10:45. This morning there was an M6.2 in exactly that location but without a tsunami.) With huge a tsunami and lots of damage. But there is plenty of risk of on shore activity too: it will be smaller but also destructive in nature. Now of course as soon as my post appeared the on line trolls leapt on it. At least some of them are going to be in the pay of the gas drillers or the proponents of LNG expansion. 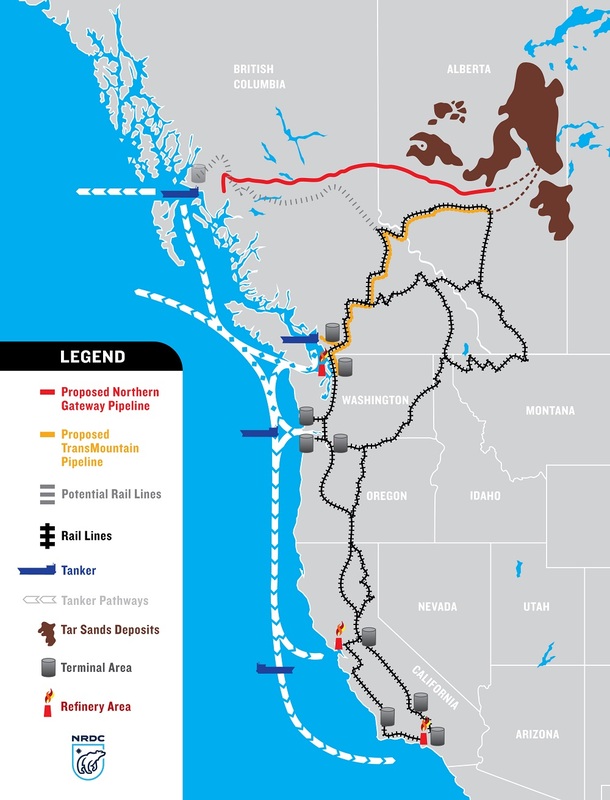 They are spending a fortune on PR efforts around pipeline and terminal expansion – and no contrary opinions must be allowed to go unchallenged. A Google search for “fracking in bc” turns up nearly a million hits. I want to draw your attention to Oklahoma. There have been a lot of earthquakes recently in Oklahoma, and the spin doctors have been doing their best to deflect responsibility away from fracking. The state government seemed to have been persuaded. Up until now. The state is now admitting that fracking causes the earthquakes. There is also more coverage of the wider impact from the New York Times. If you do not want to admit that global warming is a problem that is caused by burning fossil fuels, then I think you are unreachable by reason or argument. But then that process of proof by belief in a political doctrine appears to have taken hold with the Conservative faithful here as it has in the US. You can probably also cheerfully ignore the impact of poisoning the water supply: after all it is unlikely to affect us here and we have been seemingly unconcerned about the state of the water on reserves – especially those impacted by the tar sands. But the risk of increasing earthquakes ought to be something you take seriously here. Even though our present government seems to be quite content to leave schools in Vancouver vulnerable to the inevitable. Time for BC Geothermal Energy? I got some content today from the US Geological Service. It is intended as a “feature” and covers all their services, with a bent towards the upcoming Earth Day. Of course, on this blog every day is earth day, and my content needs to be local. One of the things I have been banging on about is geothermal energy. We have all sorts of hot springs around BC, and I have even spent time around Harrison Hot Springs. It occurred to me then that there must be more that can be done with this resource than just providing hot tubs. So here is the USGS piece on geothermal energy. Deep within the Earth’s crust lies an extremely important but underutilized renewable energy resource: geothermal energy. 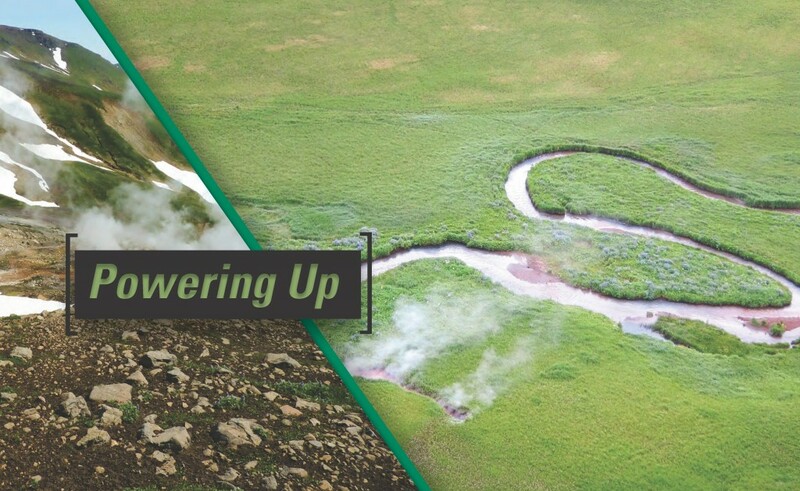 In 2008, the USGS released a national assessment of geothermal power resources, showing more than 550,000 Megawatts–electric power–generating potential. Since then, the USGS has continued to research and assess geothermal power potential all over the country. But of course what we need is information about BC – and that is provided by the BC Sustainable Energy Association though their page on the subject dates from 2005, which suggests to me that it probably needs updating. I did hear that there has been a great deal of drilling done in BC in recent years in pursuit of shale gas, and all that information was lodged with BC’s energy ministry. It contains, of course, lots of data about the availability of geothermal energy which was discovered when looking for something else. Meanwhile, our provincial government continues with its quixotic search for an export driven economic bonanza from LNG. And refuses to raise its carbon tax. BC and Alberta being the only two provinces that did not attend the recent provincial “climate change summit“. This talk was given on April 1st. I think it is a great credit to SFU that they have managed to get it onto their youtube channel so quickly. I cannot now recall why I did not attend this talk in person. Perhaps it was because Michael (I may call him, Michael, mayn’t I?) has his own blog and I should not steal his content. I do remember twitting him prior to the talk to make sure that he covered transportation in this talk. He said that he might include something on walking. Well of course a great deal of it is about transportation. We share the same enthusiasms – for pedestrian streets for instance. I started the flickr group Places Without Cars in 2008. And trams. I warn you in advance that he talks for over an hour and the video does not include any of the discussion which I am sure must have followed. But it is indeed well worth your time. By the way, Translink did look at increasing the number of ferries across the inlet. Unfortunately the outcome was that few of the possible routes tested offered any time savings – which, of course, is entirely predictable. The reason we don’t have scramble crossings here any more, he said, was that they slow the cars down. Which, of course, is precisely the point. 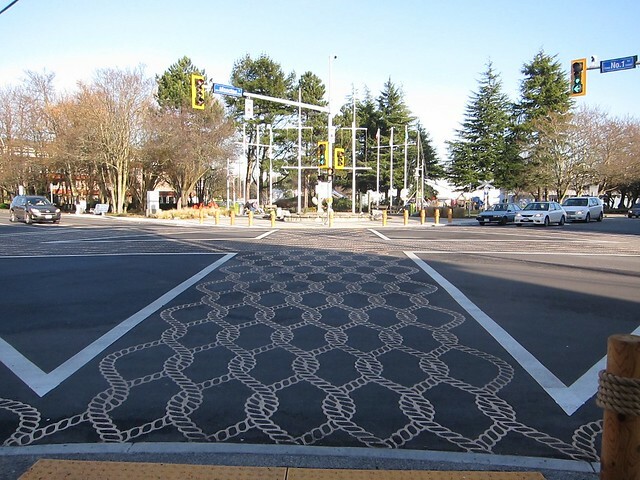 And of course there is a scramble crossing in Steveston. What we do not seem to understand is the reason we think other places work better when we visit them is that as tourists we actually want to slow down and enjoy the place. Unfortunately that is not comprehended by the people who plan our transportation systems who are still hung up on speed as the decisive factor. There are indeed decorated utility boxes all over Vancouver. I was sure I had pictures of some of them. Maybe I will find them later and add them.